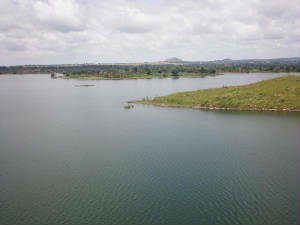 It is a bund or a small dam constructed across Yadavanadi river situated at around 130 km from Bangalore and around 30km from Mysore. It is in Pandavapura taluk, Mandya district. It was also called 'Moti Talab'. You can drive your vehicle till the dam and No food is available there except some small stalls, so better you pack your food and reach there. Nothing special is there to see except the backwater and rocky hills around But It is a beautiful place to spend time with the family on a weekend. You will be totally out of the traffic sound and the dust. Being located on a hilltop, one can enjoy a panoramic view of the valley below and other hills in the area. 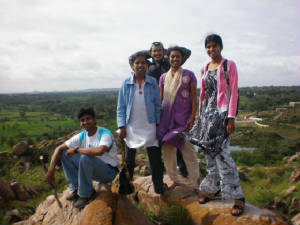 A climb up the hillock next to the lake can also be a wonderful experience. No food is available at the place except small stalls where you can get water, etc.. Post mansoon season would be ideal time to visit since you find the tank full. It will be nice in the evenings. You can cover 'Melukote' too which is nearby. Mysore--->Pandavapura--->Nelligere road--->left turn after around 10km--->Tonnur lake.